Bronck Museum and Mass MoCA Passes Now Available! Thanks to the generosity of The Friends of the Hudson Area Library, you can now borrow passes for Mass MoCA and the Bronck Museum with your library card! The Massachusetts Museum of Contemporary Art (Mass MoCA) is located in North Adams, Massachusetts, 14 minutes away from another museum we have passes for: The Clark Art Institute. The Mass MoCA has a number of galleries and venues both indoor and outdoor to accommodate their wide, genre-spanning collection. The Bronck Museum is located in Coxsackie. 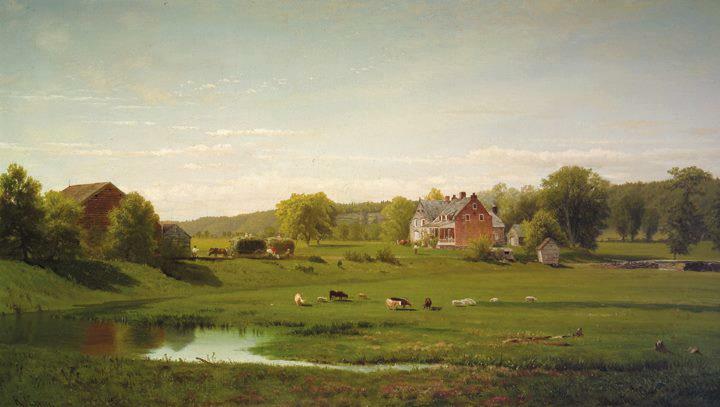 It holds the remaining buildings of the Bronck family farm, the oldest home in the Hudson Valley. These are the two newest sites to join our growing collection of cooperating museums and historical sites. View the full list here and learn how to reserve your passes. This entry was posted in Services and tagged Bronck Museum, friends of the hudson area library, Mass MoCA, museums by Paul. Bookmark the permalink.